On this page, you will find all there is to know about the Software updates for Streets of Red – Devil’s Dare Deluxe on Nintendo Switch (originally released on April 12th 2018 in Europe and North America, and November 1st 2018 in Japan. 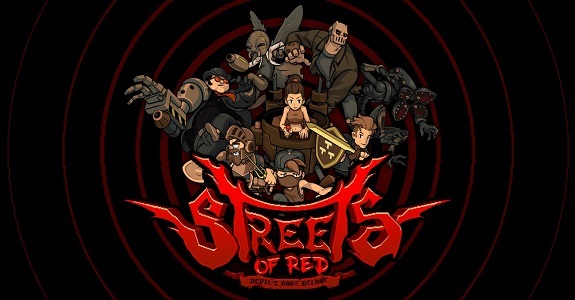 How to download updates for Streets of Red – Devil’s Dare Deluxe for the Nintendo Switch? Hunter: A gonzo alien spreading fear and loathing in the meadows! Z Warrior: If you fall asleep on the job, he’ll be dockin’ your pay! Mul Goemul: A fishy fighter with a host of gross attacks! Sakura: A three-eyed haunt who dares you to put a ring on it! These new challengers will only come out and play for the most skilled opponents. Can you find their secret lairs and be the last girl (or boy) standing? Prepare for the fight of your life! English, French and Spanish are set to go live alongside these new monsters in the USA, while the EU/AU build will receive all those options plus Russian, Dutch, German, Italian and Portuguese. Just like in the arcade beat ’em ups that inspired it, Streets of Red: DDD now offers players the opportunity to see their name up in lights next to all the best and brightest competitors around the world.